From the Author: Finnish or Global Nightmares? When I publish a new comic, there's always that one comment that seems to pop up. "Not only in Finland". 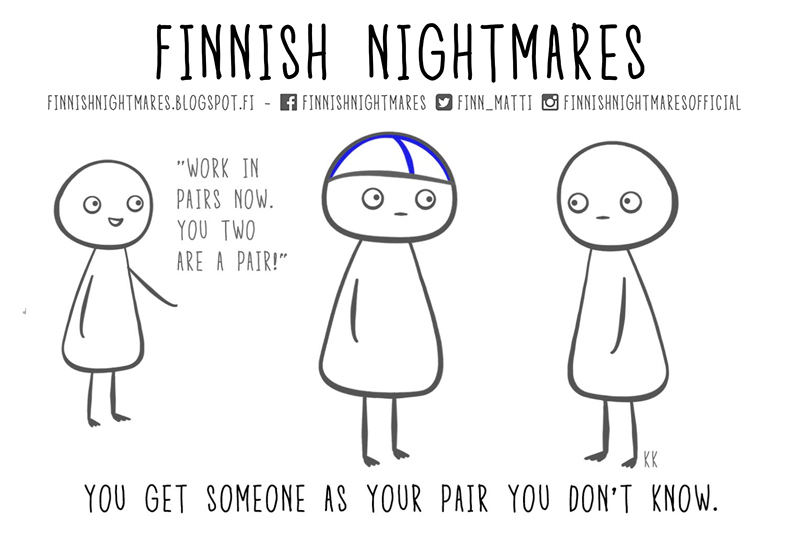 Because almost all of my pictures have this kind of comment in their comment section, it's reasonable to question if Finnish Nightmares are truly only about Finnish people. And, obviously, they are not. 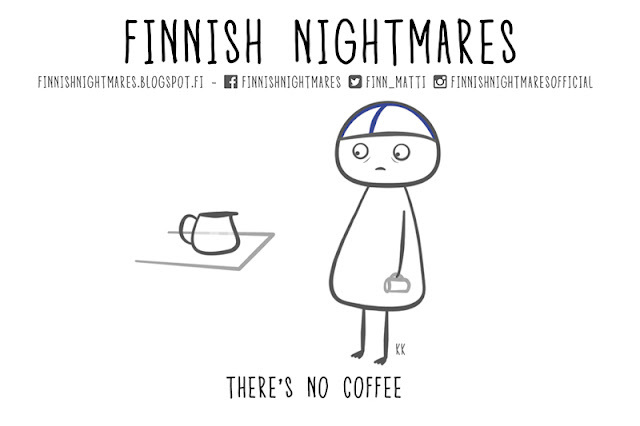 You cannot pinpoint a behavior or personality type to one country or group of people in a way that "Only Finns are introverted" or "Only British people drink tea". Why then call these comics Finnish Nightmares and not "Global Introvert Nightmares". Well, I see it that some traits that are present with introverts are also present in Finnish culture and code of conduct, such as giving a lot of personal space both physically and mentally, and Matti is a stereotypical Finn who respects these codes of conduct and tries to live by them the best he can. As I see it, being "Matti" is a global thing, but also it's very common to encounter this kind of situations in Finland. Be sure to follow me on my social media, I'm more active there as this blog is going under a bit of revamp. 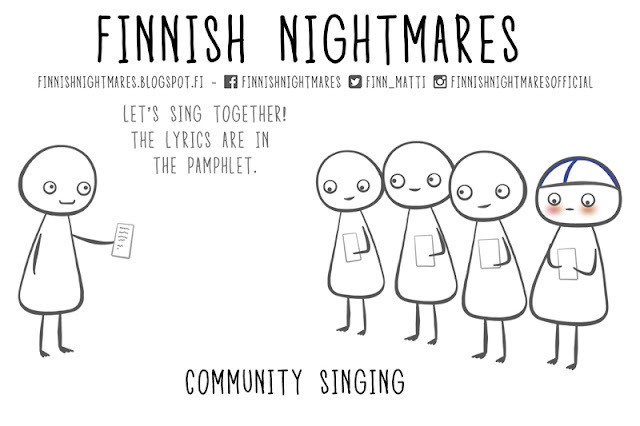 Next week I will be presenting Matti and Finnish Nightmares at Pecha Kucha Night in Oslo. I will post Mattis nightmarish and tourist moments throughout his trip in Instagram and in Facebook. If you got some ideas where Matti should visit during his short trip (we have only one day to look around), let me know in comments! More information about Pecha Kucha Night Oslo. Easter food at its finest! Mämmi is not poo nor chocolate. It's rye pudding. Usually eaten with either cream and sugar, vanilla sauce, milk or just plain - without anything. It's acquired taste for most. But Finns probably make you try it just to see your face.